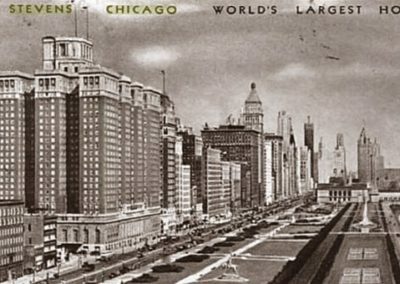 The Conrad Hilton Hotel in Chicago, Illinois opened its doors in 1927 under the name of the Stevens Hotel, which was then the largest hotel in the world with 30 floors, 3,000 guest rooms and large, elaborate ballrooms and halls. 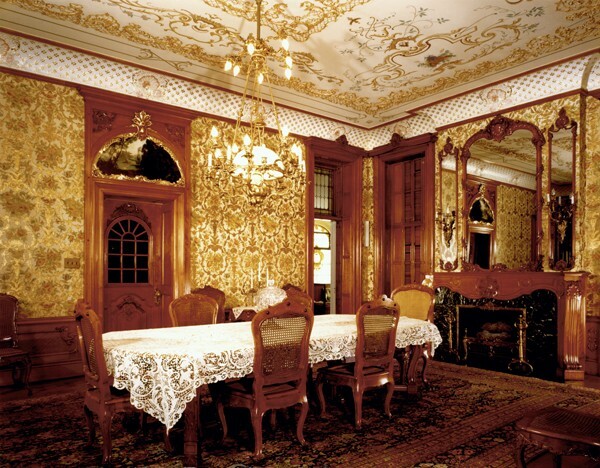 In 1942, the hotel served as barracks to house cadet trainees for the U.S. Army. 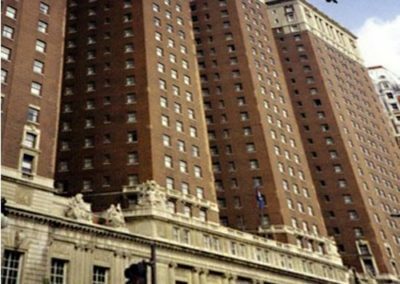 A year later the Army decamped, leaving the hotel drastically altered with an uncertain future. 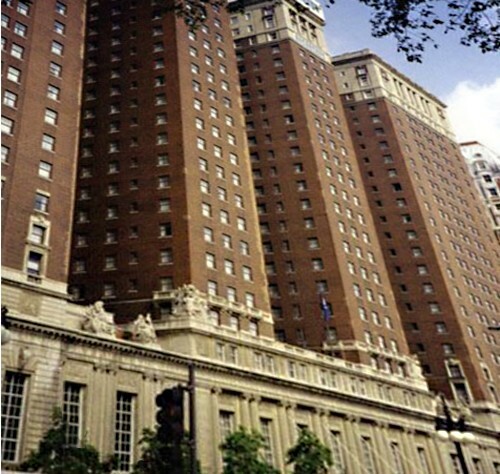 The Stevens was later sold and renamed the Conrad Hilton, after the new owner. 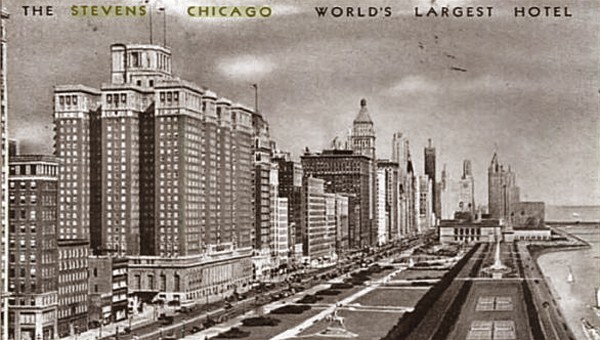 In the 1960’s, renovations modernized the hotel, but not enough to compete with the new high-tech hotels being developed further north in Chicago, catering to businessmen and conventioners. 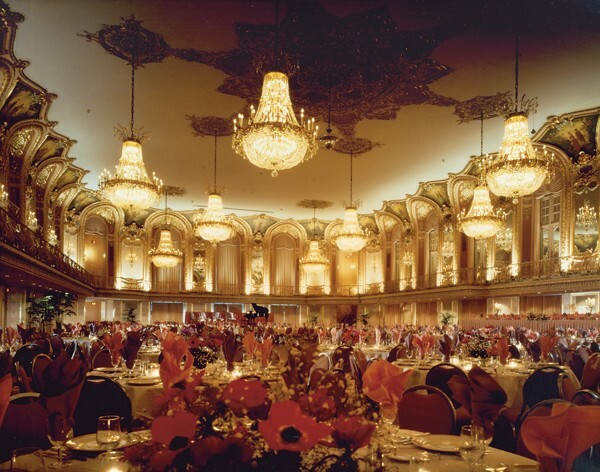 The hotel’s fate was once again uncertain, but with its choice location and unique architecture, the decision was made to renovate the hotel. 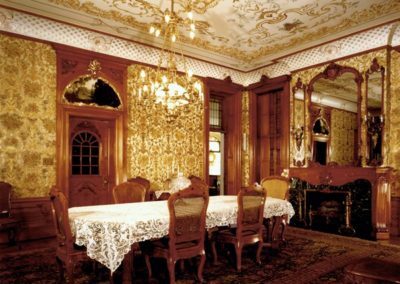 The 1982 renovation began with great enthusiasm and a team of professionals was brought together to organize the project, scheduling 15 months of work in 9 months’ time. 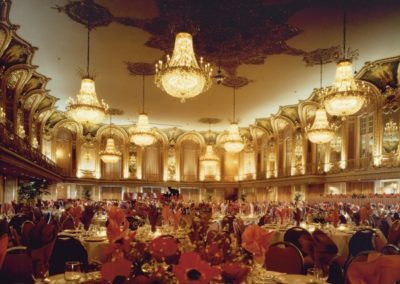 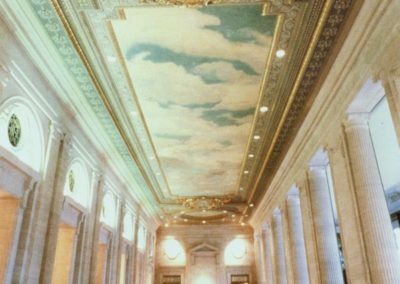 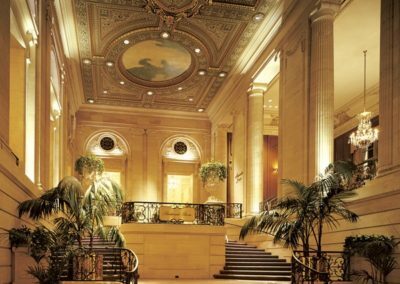 The Conrad Schmitt Studios was chosen to do the restoration of the lobby and the Versailles-inspired grand ballroom with its magnificent gilded and glazed decorative plaster, 24-karat gold leaf covered ornate wall carvings and its many restored murals. 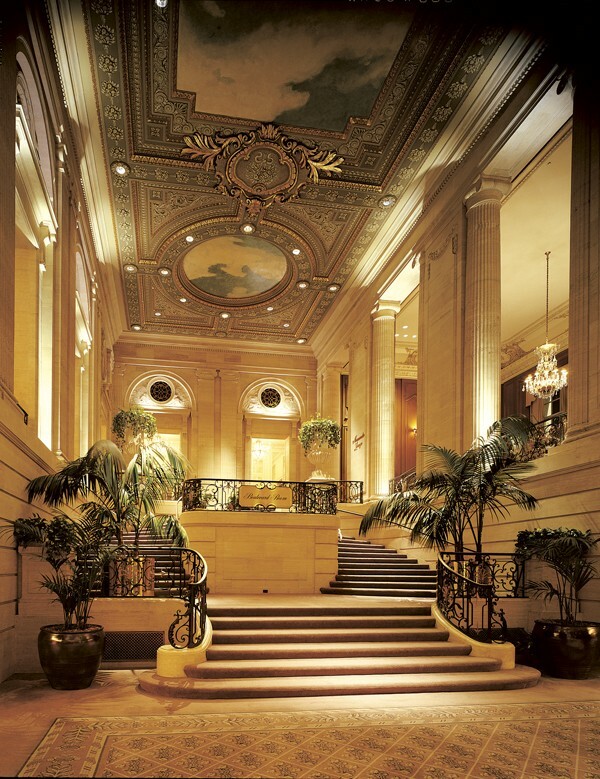 The Conrad Hilton became a renovation success story with the union of aesthetics and function. 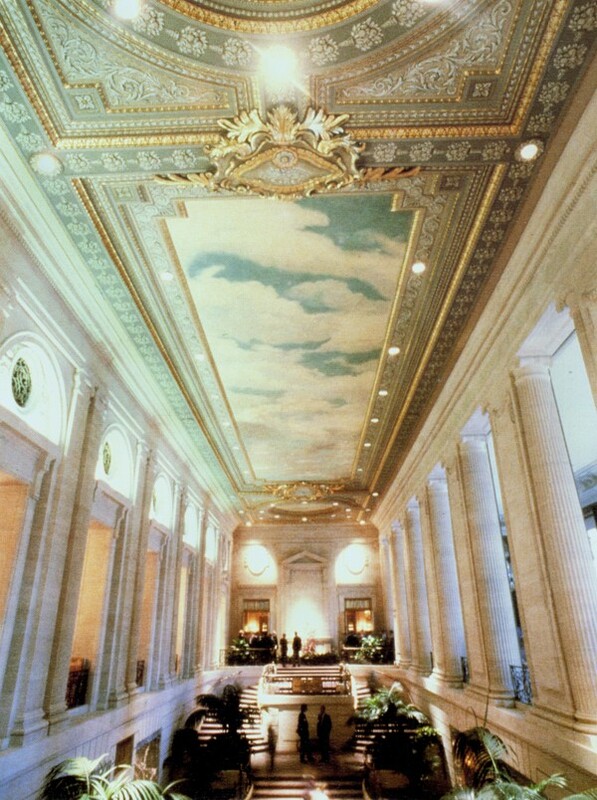 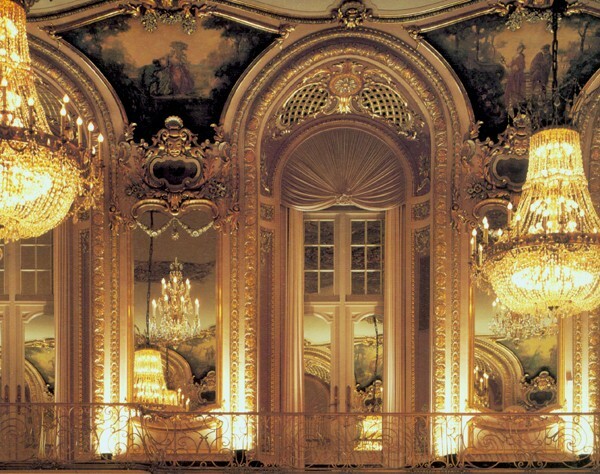 Combining Old World beauty and modern amenities, the Hilton is now the grand hotel it was always meant to be.